What Went Wrong With the Gase Regime? I’m sure any Dolphin fan can tell you the answer to that question, but I outlined five major decisions that I felt did this regime in. 1. Hiring Adam Gase. That’s right. Gase was just not the right Head Coach for this team. Frankly, he was going to need a lot of help to succeed but we will get into that later. Certain events unfolded during the 2018 season that had me second-guessing him. The first occurred on the first day of November last year. Gase was doing a routine press conference and Miami Herald Sports Columnist Armando Salguero had asked a question about Dolphins QB Ryan Tannehill and Gase got really defensive about it. Honestly, the whole conversation that took place between Salguero and Gase was more laughable than offensive but I understand fans who were offended by some of Gase’s comments. Listen, I doubt there is a Dolphin fan out there that has only been a fan of the team for three years. We may be just fans but we’ve cared about the team a lot longer than Gase has been a part of it but he is gone now, so we can move on. The part of this conference that really got me cracked up laughing was when Gase gets all gaga-gaga and gooey over Ryan Tannehill. First, he starts talking about his arm, then his legs. I think I took to twitter and had some fun with it because Gase stated “he had never seen a quarterback do that before.” It just had me second-guessing him because for the longest time, I had this conspiracy theory that Dolphins Owner Steve Ross was Tannehill’s biggest advocate. He might still be. There is so much going on behind the scenes, we may never know. The next set of events were rumors but never confirmed and they came from viable sources too. 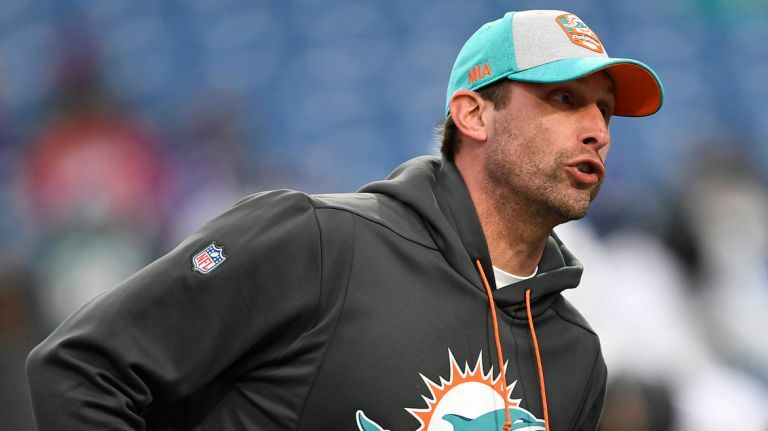 The first supposedly took place after the Colts game which was a game the Dolphins lost and Ross wanted to speak with Gase and Gase blew him off. 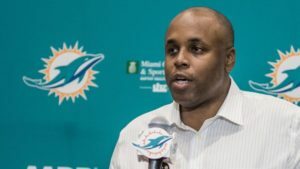 The other event that may or may not have occurred was just as the season was wrapping up but supposedly Dolphins RB Kenyan Drake went to Ross and asked to be traded if Gase was brought back another year. As stated earlier, we will never know the entire truth of what happened. I hope there is more to these stories because all of it shines a dim light on Adam Gase. It’s possible that Gase was lying about the Tannehill question and he was just trying to look after his player but even before Gase arrived in Miami, Tannehill was not that good of a player. To all the Tannehill lovers out there, I’m sorry but the moment he signed that contract extension in 2015, the excuses ran out for him. He was paid to take this team to the next level. Never mind the fact that he was drafted to take this team to the next level, HE WAS PAID. Neither decision has panned out for us and now thanks to this continued stupidity, he is virtually untradeable. I’m going to get more into this later but for now, I’m going to leave it at that. Speaking of stupidity, blowing off your boss? Didn’t your momma ever tell you “Don’t bite the hand, that feeds you.” Love to try that with my boss and see what he says….no, not really. Again, if it’s true, Gase might have checked out and firing him was a blessing for both sides but again it reiterates, he just wasn’t the right coach anyway. 2. The promotion of Chris Grier. No, not the one he just got. The one he got before he became Executive Vice President of Football Operations. During this regime, he became the General Manager. What a very uninspiring move. This regime for lack of a better ideal was supposed to be Ross’s shining moment as an NFL Owner. He hired Mike Tannenbaum to the role Grier holds now and Tannenbaum was supposed to be this outside influence who was going to build up this football program and get it back on track and his first order of business, is to stay in-house and hired a guy, who I’ll be honest hadn’t heard of before and may have helped contributed in a small way to this perpetual cycle of mediocrity, we can’t get out of, to a position he has never held before? I’m sorry, as a fan, I have to ask, how is that change? You want me to believe everything is going to be different. How? He has been here since 2003. At the time, we only had one playoff appearance during his tenure as an NFL scout. Our drafts have been terrible. He has no experience for the position he is being hired for. It was just a very blase move from someone who was expected to build a winning culture. 3. Never hiring an experienced Defensive Coordinator. I mentioned earlier that if Gase was going to be successful here, that he was going to need a lot of help. Having a defensive coordinator who knows how to manage that side of the ball WOULD HAVE HELPED. Gase was more offensive-oriented. Yes, officially he was the head coach. But he was a first-time head coach trying to figure out his role and it was so painfully obvious on Sundays that he needed a “whisperer”. He needed a sidekick. Even the greatest of coaches have sidekicks. So, I don’t hold it against him if he would sit on the bench when the offense was off the field. Our offense was terrible last year. He needed to do whatever he could to figure it out. But he wasn’t going to get any help from Joseph or Burke. They had to muddle through too. So, that was a bad decision by this regime. 4. Mishandling the Tannehill situation. When this new regime came to fruition in 2016, Tannehill should have been traded right then and there. You probably could have gotten a mid-round pick for him. He did just sign a contract extension, so would have been difficult to get anything more for him. He wasn’t injured yet. But he was also a quarterback who hadn’t brought his team to the playoffs yet and if the Dolphins had traded him, we could have saved ourselves a lot of hardship. Coincidentally enough, he ends up getting hurt during the 2016 season and is out for the remainder of the year. Why he elected to not have knee surgery, I will never know. So, 2017 rolls around. Dolphins don’t take a quarterback in the draft for insurance and just as the preseason rolls around, Tannehill reinjures that same knee. Gase, in an attempt to salvage the season makes a blockbuster signing of Jay Cutler who had recently retired. Now, I like Cutler. I felt he had a fine career. But, the Dolphins had so many injuries with the o-line that summer that I would have taken that $10 million and tried to invest in some more offensive line depth and just count your blessings with Matt Moore. Kraig Urbik, who had recently signed a contract extension with the team suffered a career-ending injury and was forced to retire. Ted Larsen would be spending half the season on injured reserve. Anthony Steen was getting banged up. It just seemed like a critical oversight on their part. Moving on to 2018. I’m at this point, where I’m thinking to myself ‘This is it. This is the year we look for Tannehill’s eventual replacement.’ And it just didn’t happen. This organization that has known about Tannehill’s injury history for two years now, did not take a quarterback in the draft. Combine that with the fact that Tannehill now has a shoulder injury and this Dolphin fan is left to wallow in my own sorrow. 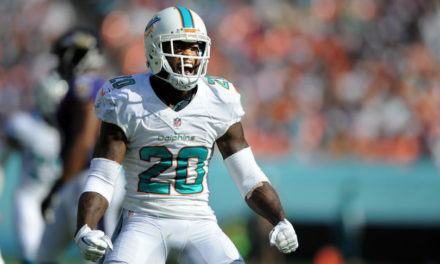 I don’t care how many stories are out there that the Dolphins are inquiring about trading him. He can’t be traded. He’s a charity case. He is a mediocre quarterback that has two career-threatening injuries with a significant cap hit for the next couple of years. If they can find a team, dumb enough to give up a seventh-round pick for him then Chris Grier is officially a genius. No way in hell that is going to happen, but we shall see. Tannehill will either be given his outright release, or he’ll stick around a little longer. My point to all this is they just waited too long on Ryan Tannehill and it’s too late to get any compensation for him. 5. Using quality draft picks on receivers and tight ends. This is an issue that goes beyond this regime. But they made this mistake too. So, we gotta talk about it. 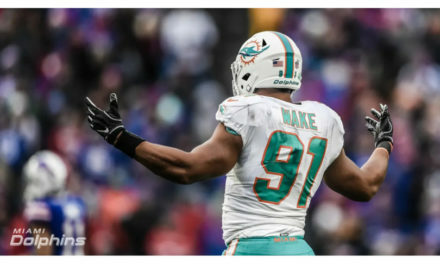 The Dolphins a year ago spent two picks in the draft, two QUALITY draft picks on the tight end position and got literally nothing out of either one of them. In 2016, they spent a second-round pick on Leonte Carroo. In three seasons, he hasn’t gotten much playing time. This past year, he was stuck on special teams mostly. I’ve been doing draft analysis for 5 years now, I can tell you that the WR position is one of the easiest positions to fill via the draft. You don’t need to waste a second-round pick to fill that need. The TE position is a little trickier. But there are plenty of other positions that need to be taken care of before you can even say the words “tight end”. It is not an immediate concern. I’m sure many of you can point out other poor decisions by this regime but I feel like these were the main ones that led to its crumbling demise. I hope the new regime can learn from this regime’s mistakes. Time will tell. PreviousDT Daily 2/1: What is Tanking? You love to blame Ryan but he was signed to execute the plays called by Gase. He did. Gase failed to protect the QB. Yeah, but I would like a quarterback that every once in a while thinks for himself audibles out bad playcalling. It’s one thing to hear fans talking stupid, but it’s completely something else to hear a supposed expert doing so! The whole idea that the only player that affects the outcome of a game is the quarterback is ludicrous! Tannehill wasn’t the problem, terrible offensive line play, Miami’s offensive line has ranked bottom four the last five years, and a terrible defense, ranked 29th this year, were the teams biggest failings. The play calling was also atrocious! There isn’t a quarterback in the league that would win a super bowl on this team the last seven years! 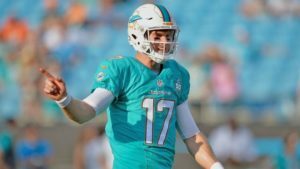 Tannehill didn’t get knee surgery the first time because the team doctors talked him out of it in a hope that he could come back for the playoffs in 2016. The 2017 injury was a reinjury of an unrepaired knee, not a new injury. Tannehill has been pretty resilient considering the lack of protection he has gotten from day one. It’s obvious that you are just another mindless Tannehill hater. Ever since Miami let Clay walk, our TEs have been awful, it made sense to fix that position. The biggest issue our TEs had was that they weren’t featured in the offense, or given ridiculous blocking assignments. I guess the Patriots don’t know how to draft either, as they have picked TEs highly as well! Most top WRs go in the first two rounds in the draft. 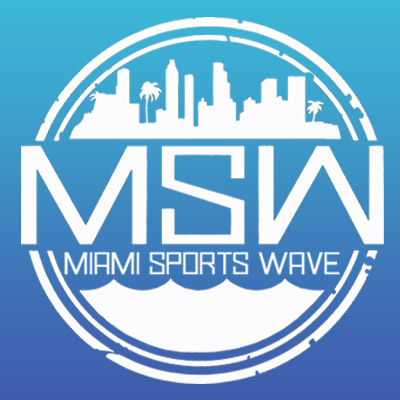 Miami has made some bad decisions in the draft, mainly not building a good offensive line, and picking players that don’t fit the system (Harris) or players at positions we don’t need (Fitzpatrick) or just giving too much capital for one guy (Jordan). What quarterback are you drafting in 2016? Lynch? Hackenberg? Brissett? Kessler? These guys all went between when we picked Tunsil, a pro bowl level Left tackle, and the end of the third round. What about 2017? Who you picking? Kizer? Webb? Beathard? These are the guys that went after Harris until the end of the third round. Who you picking in 2018? Jackson? Rudolph? These are the guys after Fitzpatrick through the end of the third round. Last three years Miami wasn’t in position to pick a single quarterback that would be a quality starter. The good ones all went before they drafted! I didn’t just talk about Tannehill, though. I talked about other things. If you watch Dan Marino’s interview with Dan Patrick, you could tell he does not like bubble screens and jet sweeps. I bet he did not care too much how the offense was run.